It’s no surprise a lot of knitting goes on around here. I love knitting because it’s so portable – a few stitches on the bus, before class, while waiting for a doctor – and soon something beautiful arises from those stolen moments. It took me several years before I was good enough that I actually liked what I made. Most of my early projects were “frogged” over and over because, in my opinion, they weren’t worthy of existing. 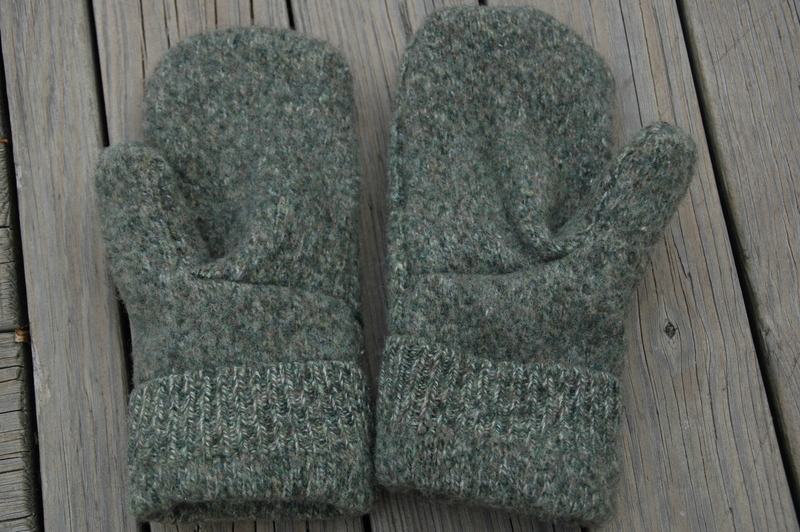 I’ve made two pairs of mittens using this fabulous tutorial. 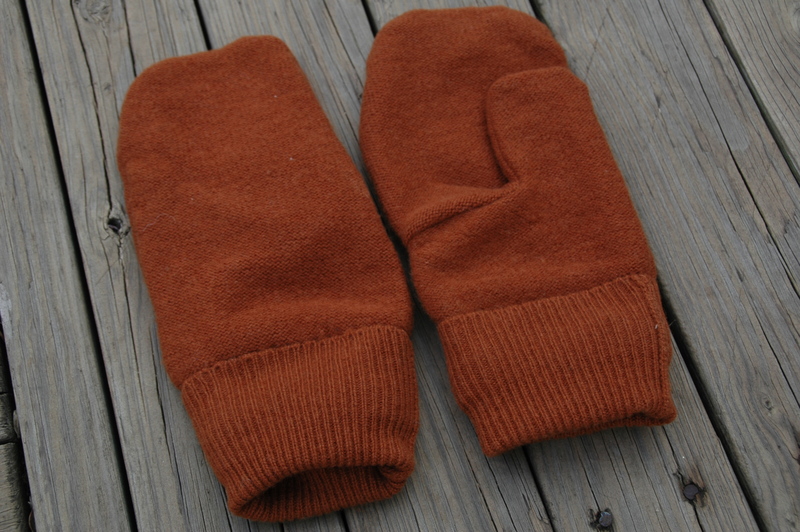 Here’s P’s pair, made from his favorite sweater that finally got too hole-y to wear. I lined them with horse print flannel because his name means “lover of horses” which gives us no end of amusement around here. As a side note – I took scrap pieces of the sweater and needle felted them on the wrong side of the hole-y bits and you’d never know there had been holes if you weren’t looking for them. 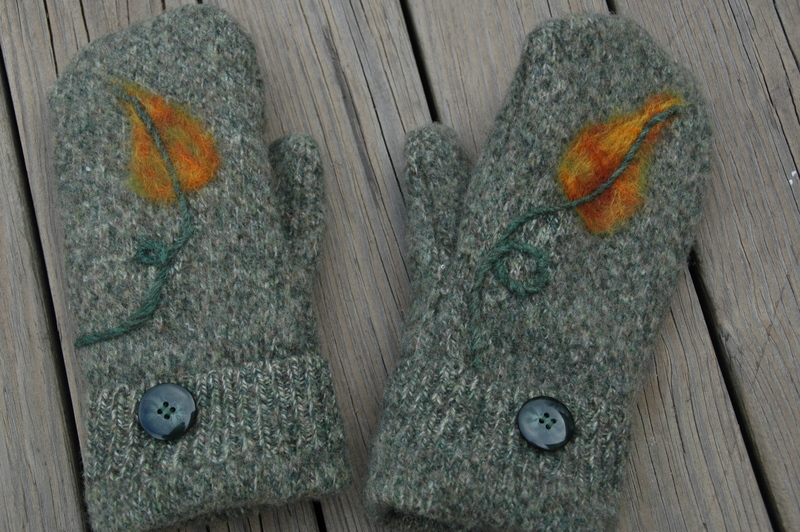 I needled felted on some fall-colored leaves with green yarn for a stem. I’m not thrilled with the needle felting job – but every little bit of practice helps, right? You’d never know from looking at them how many times I ripped sections out to sew them again. sigh. 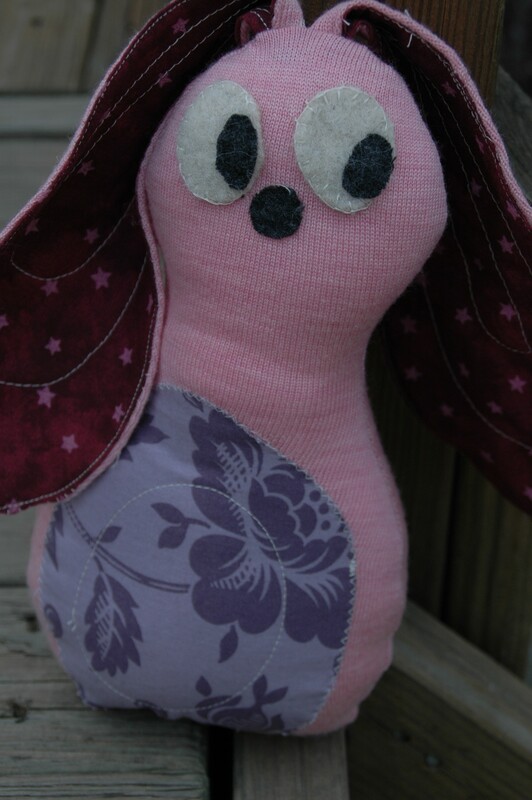 I’ve been dabbling a bit in making stuffed animals. Again, the photo hides it well, but my skills are seriously lacking. It’s cute, but it’s not what I wanted it to be. Alas – practice, practice. 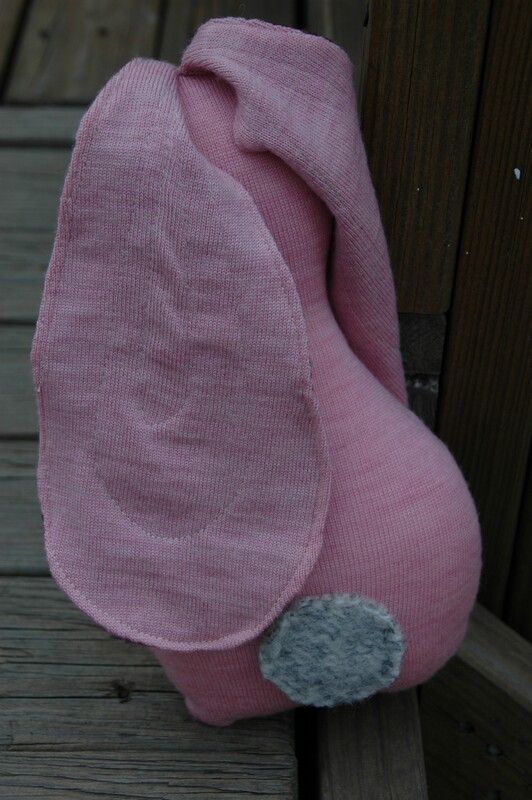 I do love this little infant-friendly felted wool tail! 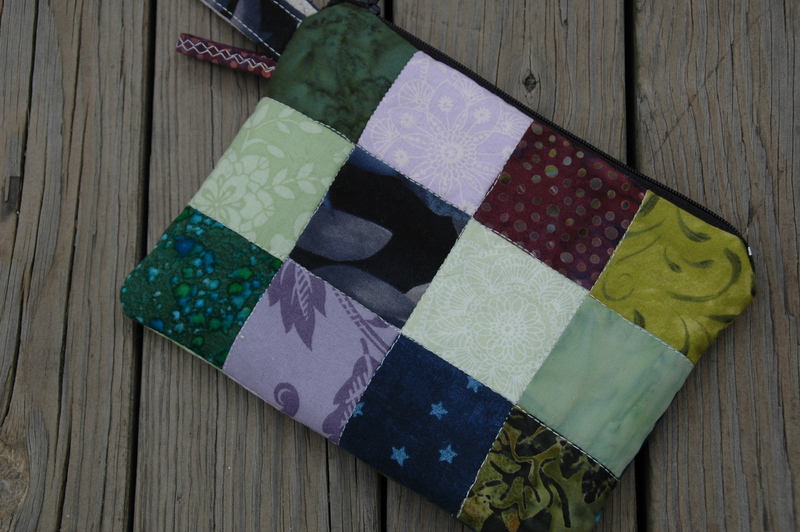 I made this little wristlet using this fantastic tutorial. It came out so cute! It’s the first time I’ve inserted a zipper, and I’m very pleased with the results. This cute little bag will be going with me on vacation next week! 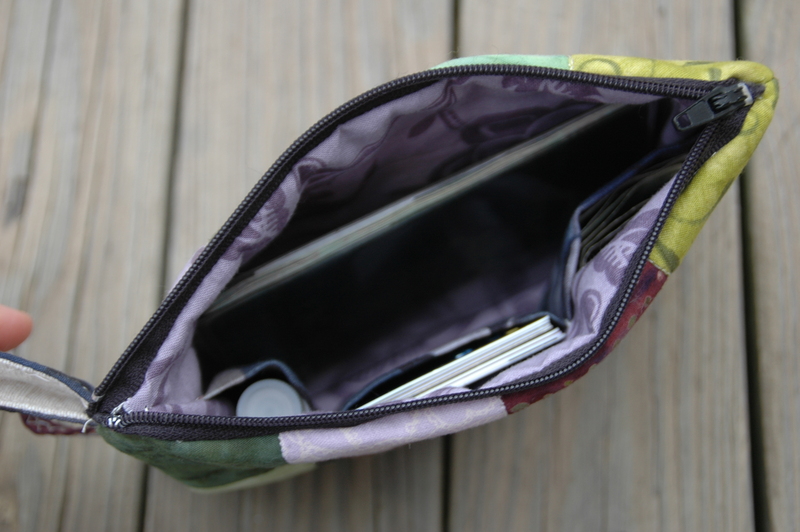 It even has three little pockets on the inside. If I were to make it again, I’d probably make a pocket on the opposite side to hold my phone. P and I bought new curtains for our front room to replace the old-lady lacy ones that came with the house. We ended up with linen I*KEA curtains that you cut to your desired length and then use iron-on fusible web to “hem” them. 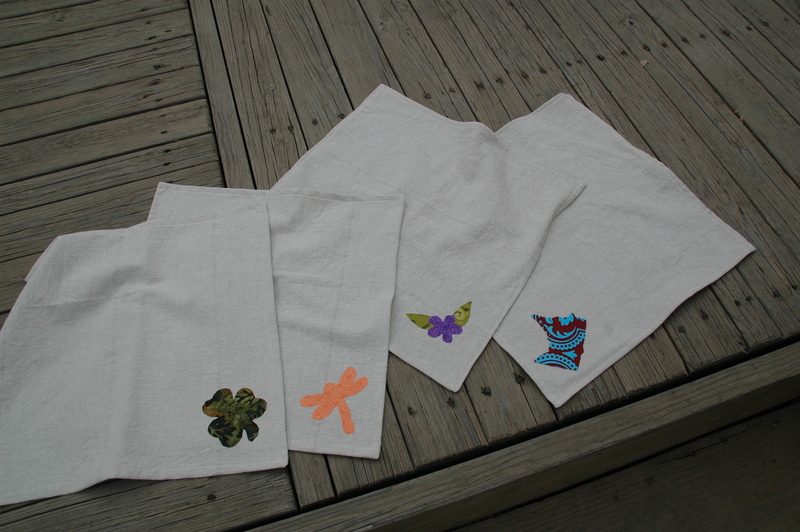 As a result we ended up with lots of long, narrow scraps of linen. 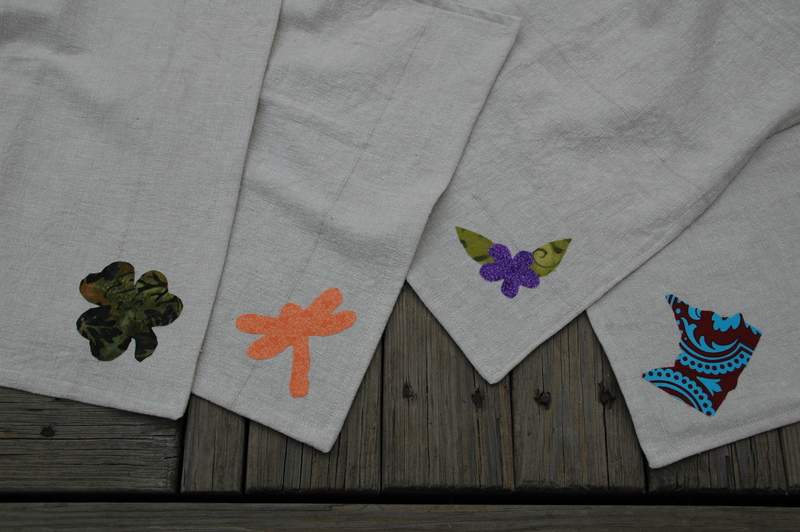 I used a few of those scraps to make… napkins! It’s my first time doing fusible applique so I was just playing around a bit. I cut the flower and leaves freehand and used cookie cutters to outline the rest. You can tell from the “Minnesota” napkin that there is a reason the instructions tell you to cut out your images in reverse! Ooops! 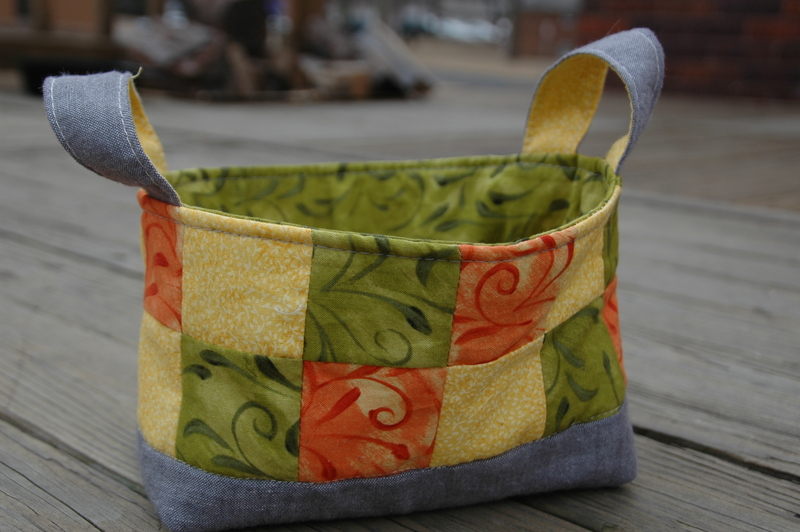 I used this tutorial to make this adorable little fabric basket (how did people learn to craft before the internet and people’s generous tutorials??). I found one slight error in the tutorial – when you cut the fabric for the lining it says to cut a piece 9 1/4″ x 12″. 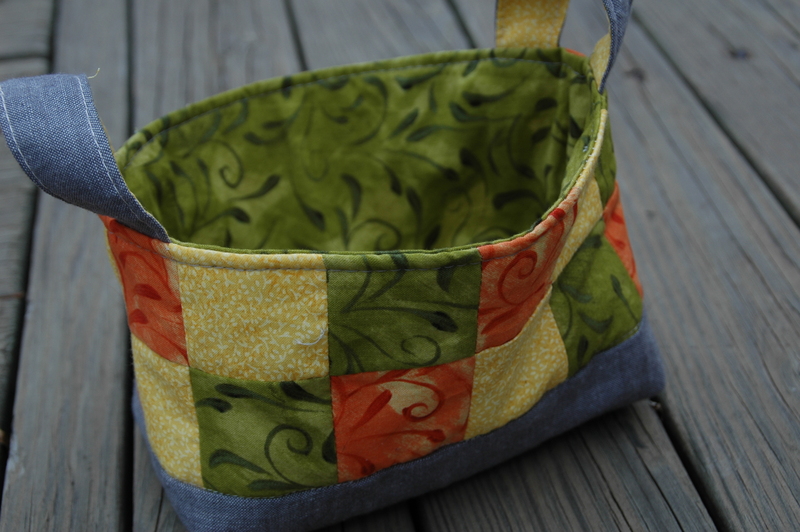 That was too small for my basket and I had better luck with a lining that was 10 1/4″ x 12″. 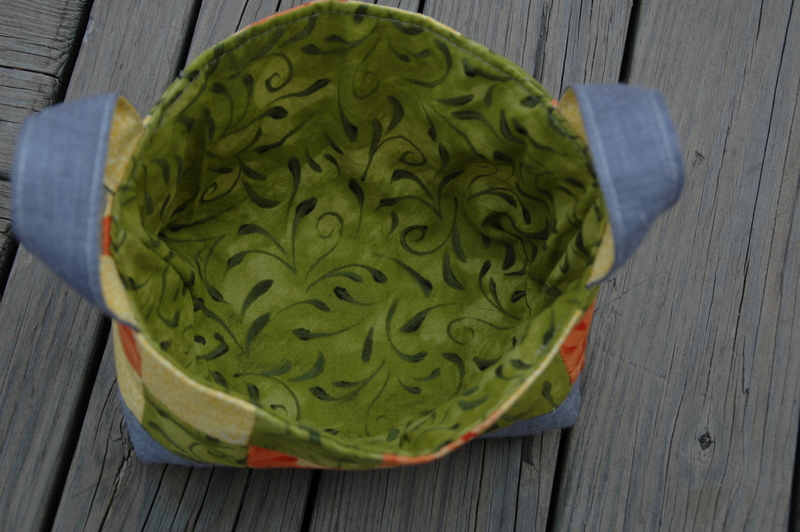 Fold along the 12″ side so the 10 1/4″ sides make the opening. I think this will live on my nightstand to catch all the little bits that land there – earrings, hairbands, etc. I’ve still got more knitting to show you, so I’ll be back soon!